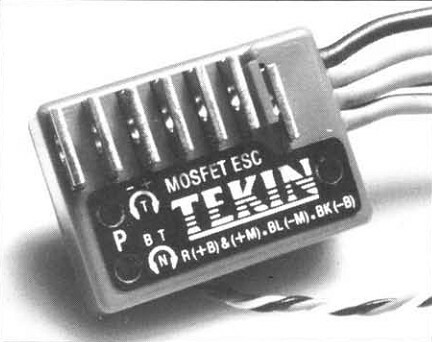 The Mosfet series was Tekin´s second generation of electronic speedcontrols introduced in 1988. This new Mosfet series had improved electronics, smaller case and a control LED for indicating full throttle position at setup. This series also was available with red or black coloured case.